Explores how community is defined and how it functions among Theravada Buddhists in South and Southeast Asia. Constituting Communities explores how community functions within Theravada Buddhist culture. Although the dominant focus of Buddhist studies for the past century has been on doctrinal and philosophical issues, this volume concentrates on discourses that produced them, and why and how these discourses and practices shaped Theravada communities in South and Southeast Asia. 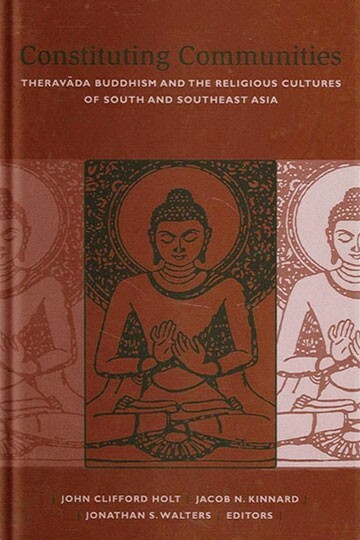 From a variety of perspectives, including historical, literary, doctrinal and philosophical, and social and anthropological, the contributors explore the issues that have proven important and definitive for identifying what it has meant, individually and socially, to be Buddhist in this particular region. The book focuses on textual discourse, how communities are formed and maintained within pluralistic contexts, and the formation of community both within and between the monastic and lay settings. Contributors include Carol S. Anderson, Anne M. Blackburn, Mahinda Deegalle, James R. Egge, Julie Gifford, John Clifford Holt, Jacob N. Kinnard, John S. Strong, Liz Wilson, and Jonathan S. Walters.